Head to one of these five comedy venues when you need a laugh. Photograph courtesy of Broken City. 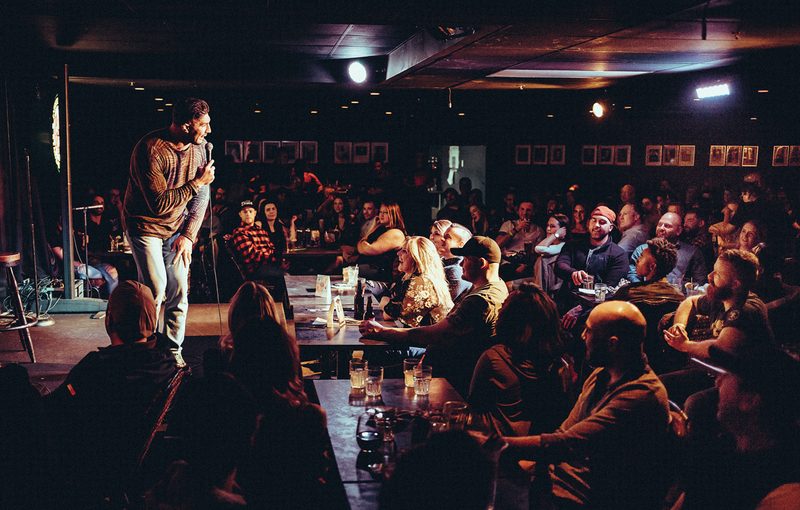 Every Monday night, Broken City, a live-music venue and bar on 11th Avenue S.W., transforms into one of the best comedy clubs in the city — Zach Galifianakis famously dropped in one time and took the stage. With a $5 cover charge and $4.25 highballs, Broken City is also one of the most accessible comedy venues in Calgary (just make sure you show up early). And if it’s warm enough, there’s a rooftop patio for pre-show food and drinks. The Comedy Cave hosts performers Tuesday through Sunday and also offers dinner-and-show packages for large groups. You can make reservations in advance but your spot is only guaranteed for up to 45 minutes before the show. The Comedy Cave also enforces a two-drink- (or $7.50) minimum-per-person rule. Order your food before the show begins to avoid the rush. 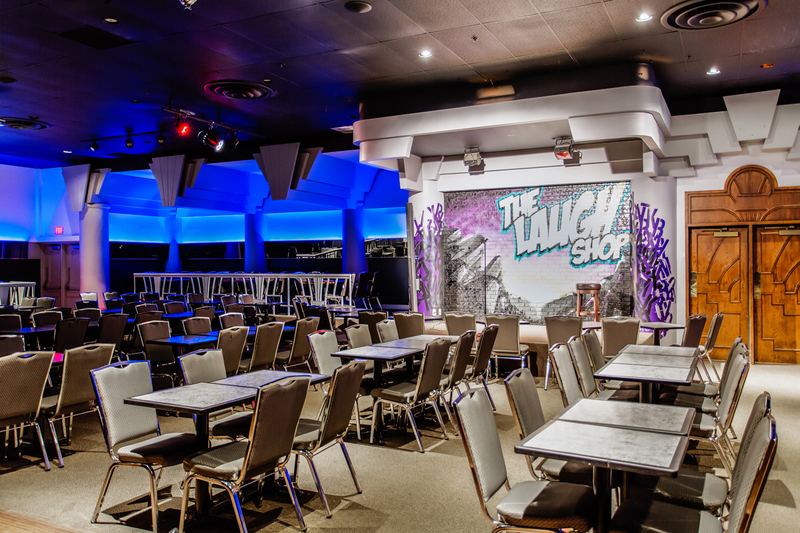 Located within the Blackfoot Hotel, the Laugh Shop hosts performers Thursdays through Saturdays in its 300-capacity room. Shows usually include a well-known marquee act with locals and emerging performers as the openers. The Laugh Shop has partnered with the hotel to offer dinner-and-a-show packages. The location is not particularly transit-friendly, though there is plenty of free parking. 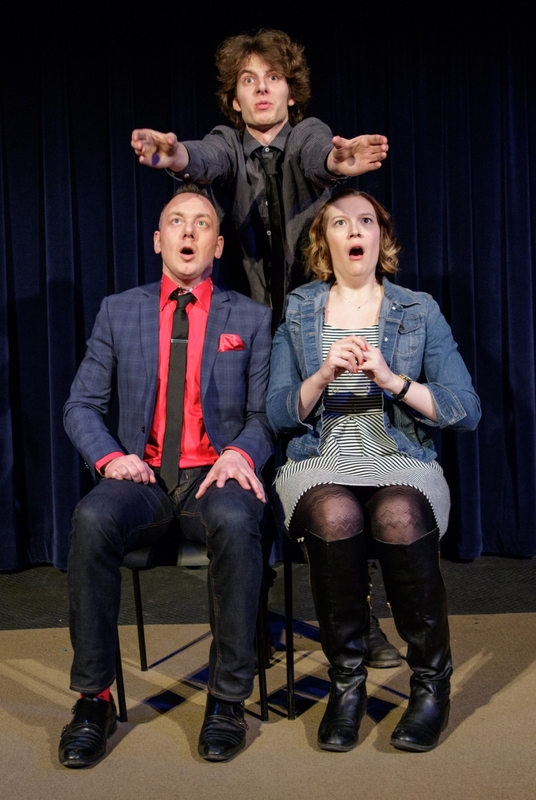 Loose Moose is an improv training and performance company whose roots in the city date back to 1977. Notable Loose Moose alumni include Rebecca Northan, members of the Kids In the Hall and the FUBAR guys. The company’s current theatre is southeast of the Stampede Grounds at Crossroads Market, just a few blocks in either direction from the “barley belt” craft breweries of Inglewood, Ramsay and Manchester. 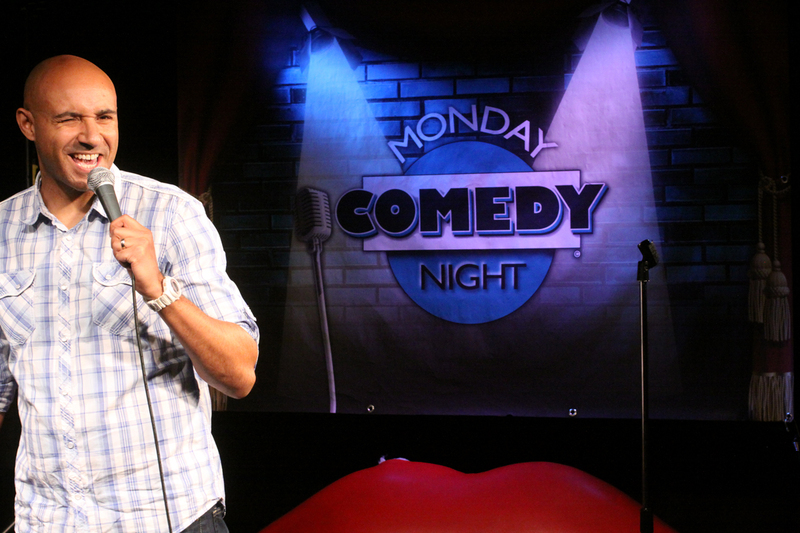 Comedian Brendan Schaub at Yuk Yuk’s Calgary. Located on the second floor of the Elbow River Casino, Yuk Yuk’s is one of the most well-known comedy clubs in the city, with an open-mic night every Wednesday where you can discover your new favourite comedian (or tighten your own set). There’s a public parking lot on the south side of the casino, and it’s a short walk from the Stampede CTrain station. Make sure to show up early if you don’t want to share a table with others — though that’s sometimes part of the fun.